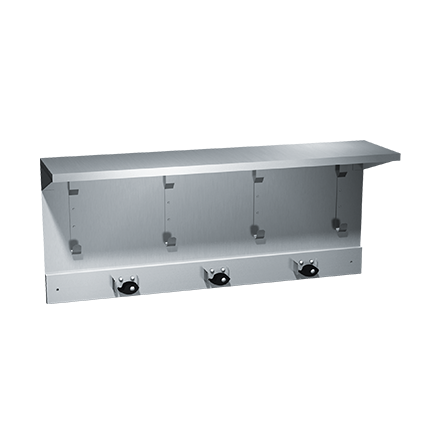 Fabricated of type 304 satin finish stainless steel, this shelf is 8″ (203 mm) deep with 3/4″ (19 mm) return for rigidity. Mop holders are riveted to strip, and rubber cam is ribbed for grasping. Unit is 14-1/2″ (368 mm) high.